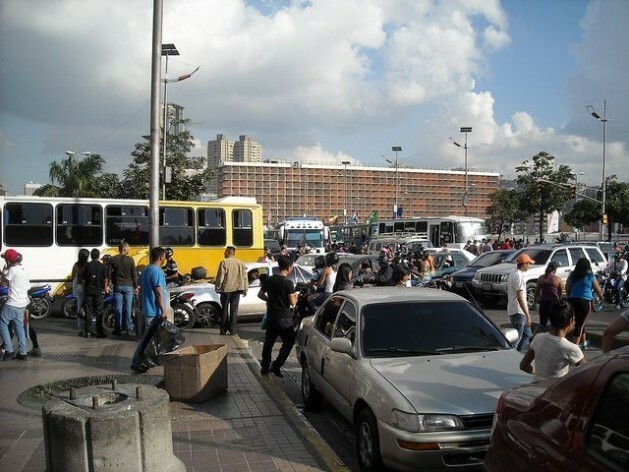 CARACAS, Jan 3 2014 (IPS) - The family of Susana Suárez, a 35-year-old Venezuelan dentist, are still in shock over her death in a traffic accident in May. She and a friend were killed on their way back from the beach, and became just two more of the 130,000 victims who died on Latin America’s roads in 2013. It wasn’t the first time that a vehicle fell into the river from that bridge, which is near the town of Tucaras in the western state of Falcón. “Even a semi-trailer truck fell in once,” on a poorly-lit, badly paved and inadequately signalled spot along the road, “where there is a bridge with a weak railing,” Suárez said. Added to the 130,000 casualties are “six million people who are injured, including hundreds of thousands who are left with a permanent disability,” Verónica Raffo, a senior infrastructure specialist at the World Bank, told IPS. There are 19.2 road fatalities per 100,000 inhabitants in Latin America, “more than three times the rate of some European countries,” she said, citing the “Global status report on road safety 2013” by the World Health Organisation (WHO). Africa, with 24 fatalities per 100,000 inhabitants, and the Middle East-North Africa, with 21 per 100,000, are the other regions losing the most lives to traffic accidents. In South America, the rate is 21 per 100,000 inhabitants. In March 2010, the countries of Latin America signed the United Nations resolution proclaiming 2011-2020 the Decade of Action for Road Safety. The governments of over 100 countries have committed to cutting down road deaths and injuries, with the aim of reducing by half the predicted increase in global road deaths by 2020. The goal is to save five million lives and five billion dollars in costs. In Latin America, the projection was 30 deaths per 100,000 inhabitants, due to the rise in the number of motor vehicles and the further decline in road safety, and the commitment is to bring the rate down to 15 per 100,000. “But in many countries, traffic accidents are on the rise, and few have managed to stabilise or reduce the number of victims,” Raffo said. Argentina, Chile and Uruguay have achieved good results, thanks to “strong political leadership and institutional changes to improve administration and management,” she said. Five pillars are needed to combat road accidents, she said. The first is “to improve institutions.” In most countries, responsibility is dispersed and there is a lack of adequate institutions, Raffo said. Argentina is one model to be followed. In 2008, it created the National Road Safety Agency, with an observatory that monitors policies, campaigns, strategies and results, which has led to significant improvements. Colombia ended 2013 with the approval of a similar agency, in a country where road accidents represent the second-most frequent cause of violent death, according to the World Bank. The World Bank and regional institutions report that the countries where traffic accidents have increased since 2011 are Bolivia, Ecuador, Dominican Republic and Venezuela. In the latter two, the increase was as high as 40 percent, in large part due to accidents involving motorcycles, a vehicle that is in dangerous expansion, even used by parents to transport children. Pedestrians, cyclists, and motorcyclists account for 70 percent of the victims of urban road accidents. “Working on road safety means working on equality, because the lack of safety mainly affects the most vulnerable users, who are also the most vulnerable segments of society,” Raffo said. “The second pillar is safe infrastructure, roads and urban mobility; the third is safe vehicles and drivers; the fourth is educational and awareness-raising policies; and the fifth is a key issue: post-accident response, that so many lives depend on,” she said. One piece of good news was the creation of the Ibero-American Road Safety Observatory, which Raffo and other experts see as fundamental for the region to have monitoring, management of data, indicators and policies, and a platform for sharing successful experiences. Although the first three years of the decade have not provided grounds for optimism, the evidence shows that there are some countries that have brought extremely high road fatality rates down, Raffo said. Besides, developing countries “lose between one and three percent of GDP [to road accidents], in some cases up to four or five percent; that’s an extremely high cost,” she said. WHO figures indicate that 90 percent of road accidents occur in the developing South, which has only 50 percent of the world’s vehicles.